I peaked in high school. Life is such a bittersweet roller-coaster ride of ups and downs. People often describe those high accomplishing moments in life as “peaks” and the low, not-so-glamorous dark moments as the “valleys.” I can related. I’ve been through both- and I’m sure you have too. High school was more of a “peak” time for me, whereas college, felt like a valley for the most part. I felt like I wasn’t thriving- not living my best life or at least up to my full potential. Looking back, there wasn’t anything anyone could do- it was just a season that I was suppose to go through. The peaks in life are such sweet, rewarding times, but I don’t think we would appreciate them as much if we didn’t know what the valleys felt like. I’m not much of a hiker- but if you are, imagine the feeling you’ve had when you reach the top of a mountain. Do you think you would feel the same satisfaction if a helicopter dropped you off at the mountain top? Maybe if a helicopter was a part of the picture, I’d be more of the hiker type- but I know I’d be missing that feeling of accomplishment. I think this surprises a lot of people and it for sure has surprised me. The promise of dark days, low moments, and tough seasons are all mentioned in the bible- heck there’s even entire chapters written about depression! So if the highs are peaks and the lows are valleys- what’s in the middle? What is that average grey area where you’re just living the “same stuff different day” kind-of routine? What do we call that? I don’t know if there’s some official term or whatever for this middle area, but I call it the flatline. I’d like to consider myself an expert on the “flatline” just because it’s where I’ve been the past couple of months. Not really experiencing any highs, but not really experiencing any lows either- just kind of coasting, chillin…waiting for the next chapter in my life to start. But… since I’m a millennial and we apparently love to create new terms for things that already exist- I am declaring it as the flatline. The flatline is a pretty interesting time period in life because it feels like nothing is happening, but the potential of something happening is almost an overwhelming emotion. I feel like this is what navigating through your twenties is like- this weird feeling of just starting to figure out life, but not really knowing what to do with it yet. Like I said, I’ve been living in this flatline period for a couple of months now. The flatline is not a peak and is not a valley, so it is easy to start thinking of life as mundane. By thinking this way though, I begin to drag myself down to dig a hole that forms a self-pity, man-made valley. The flatline can lead to a peak…but one wrong step, and you’re headed towards a valley. During this transition period, I am choosing to grow because I’ve learned it makes the walk on the flatline a little easier. When I grow in wisdom, I gain clarity in which direction on the path to take. When I grow in weakness, I gain strength to make it to the end of the path. When I grow in trust, I learn to let go of baggage. I move down the path more quickly to better things because I’m not carrying the weight of such heavy burdens. Even though it hasn’t felt like a lot has been going on in my life, I can see God slowly turning the page- leading me to the next chapter. 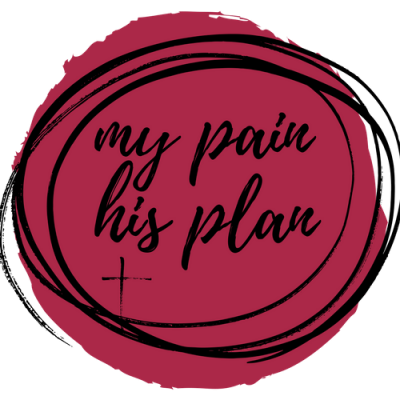 Day by day I am discovering how the pain in my past is being used for His plan. And I believe if I keep walking on the path God intended for me, I will eventually get to the end of the flatline. I challenge you to remember your valleys. As much as it may hurt or as difficult it can be, think about your past. I guarantee you were brought through that valley for a reason. You may not yet understand why, but one day you will. Maybe accepting whatever valley you may have gone through will give you just enough strength to start climbing your next mountain, helping you gain the momentum you need to reach your new peak. SEE YOU AT THE TOP BABY! Next ›it’s okay to not be okay. I love this, Abbie! Real.